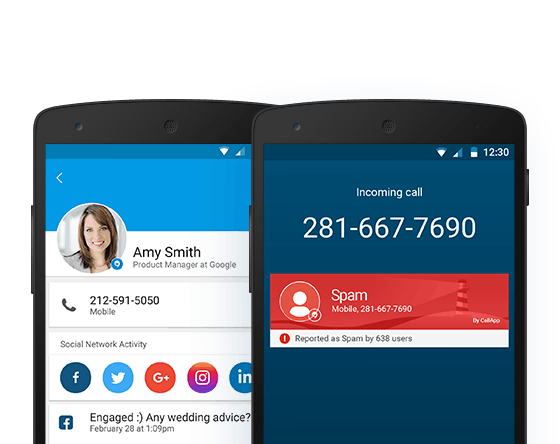 CallApp, the highly successful universal caller ID and social contact book App, announced today the availability of its latest version, CallApp 2.0. The App, currently used by over 25 million users worldwide, is the largest caller ID app in the US, combines data from 70 different information sources including social networks and communication applications, into an easy to use, cohesive digest of immediate, readable, personalized, useful and actionable information. CallApp 2.0, now available on Google Play, implements Google’s UI guidelines for a seamless and familiar user experience as well as new and exciting features to increase productivity and ease of use. The latest version includes an updated look and feel implementing Google’s UI guidelines. This ensures that user experience is familiar and seamless. In addition, the design increases productivity as navigation and accessibility to the main menu is easy and intuitive. CallApp 2.0 features live and dynamic content on any contact including images, latest posts, latest communication and has integrated social networks and IM, such as WhatsApp, Viber, etc., into the App so that it is now able to identify unknown callers from these apps. The latest version fully supports Smartwatch, enabling all notifications from the App to be accessed directly on Smartwatch and supports 9 (nine) languages. CallApp 2.0 is available now for download from Google Store and is completely free. It is compatible with all Android devices and supports 13 languages. Please visit callapp.com for more information on CallApp 2.0 including videos and screenshots.